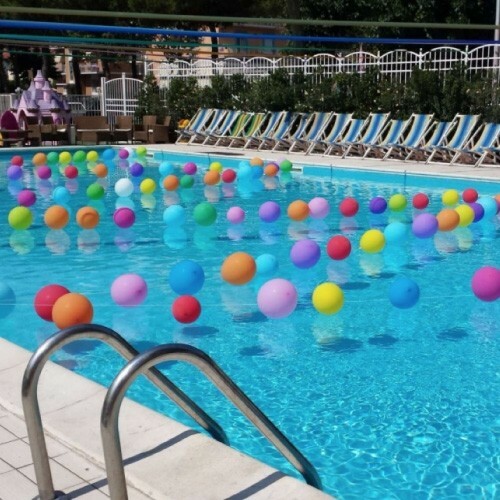 The swimming pool of the Hotel Jumbo is one of the largest of the Romagna coast. Most of the entertainment activities and many evening parties take place there. When it is really hot, what is better than an evening bath in the pool? The sunny position, loungers, umbrellas, a bar nearby and music, all contribute to having a good time and relax. The entertainment staff of the hotel will organise nice activities, too. And if, after all that fun, you would enjoy a more soothing exerience, you can: there are two new whirlpool baths. The relaxing effect is pleasant at any time of the day, but it is particularly intensive when the sun is hidden in the clouds, or while watching sunset or at night under the stars. 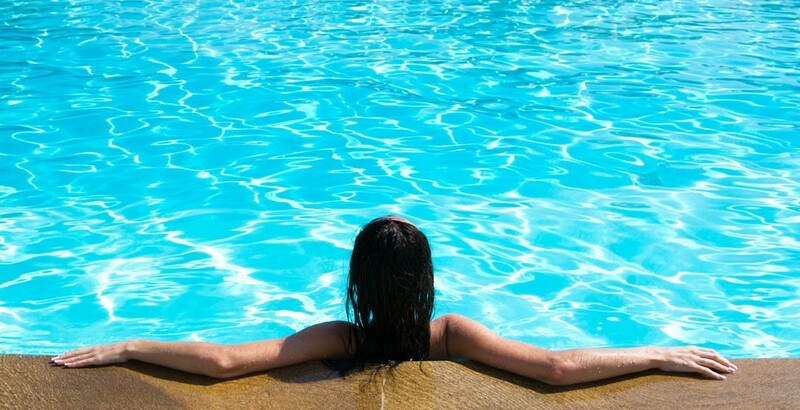 Right on the beach, 50 metres from your umbrella, the water park of Marebello is waiting for you, free of charge. It is convenient for adults and children alike. 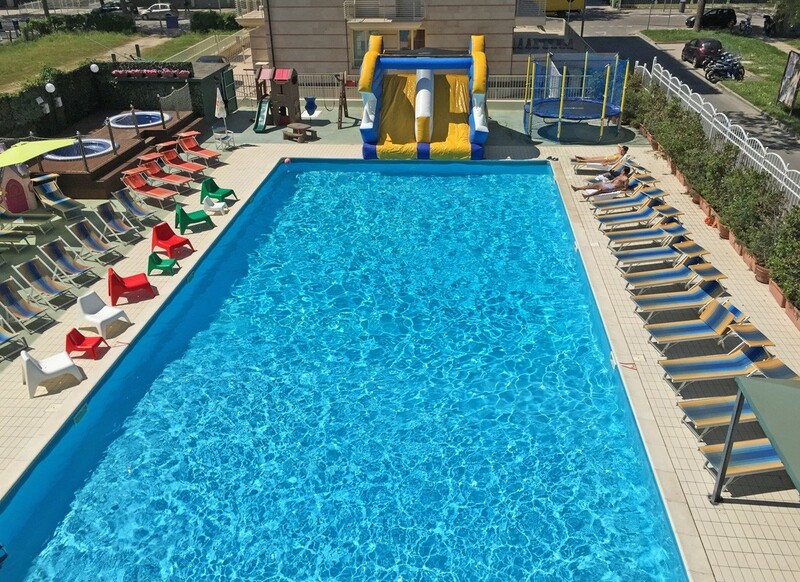 It has two water slides which spice up your time on the beach with a little adrenaline. 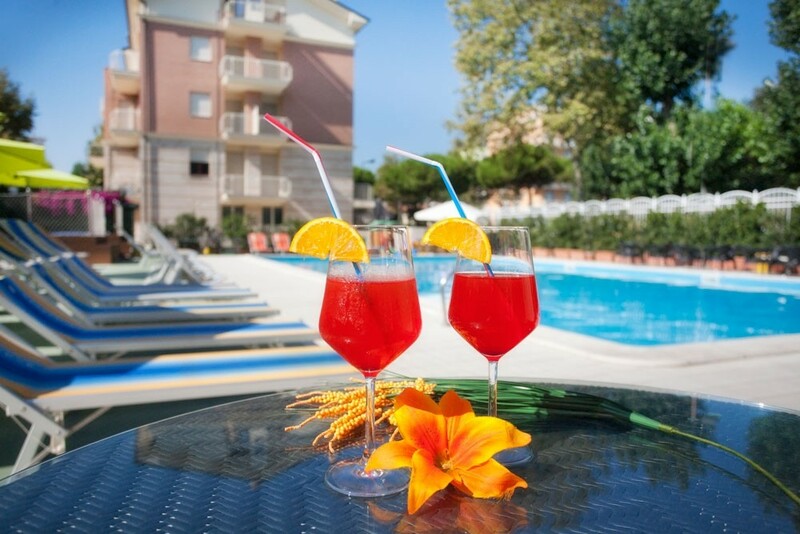 Further, our guests can profit from free admission to the Beach Village in Riccione. A shuttle takes you there for free, it runs every 15 minutes during the day. 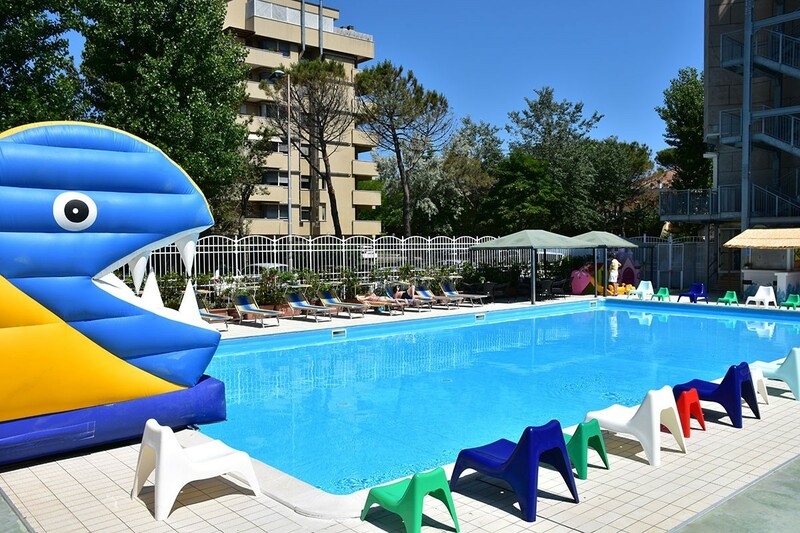 This water park is situated on the beach in Riccione, it has a swimming pool, 4 water slides for adults and children and a rich entertainment programme.